In order for an office or a company to run smoothly and perform well, tasks and roles must be neatly and precisely divided. In small offices and family-run companies, roles and duties may overlap, but large businesses need a clear hierarchic structure. Two of the most important positions – which are often covered by the same person in small companies – are manager and administrator. Managerial and administrative tasks are key to the success of the business and require different competencies and abilities. Within a company, the manager is the person in charge of putting into practice policies and objectives decided by the owners or by the executive board. The manager often works in direct contact with the employees and has the responsibility of ensuring the smooth delivery of all operational activities. In most cases, the manager is a hired employee and his/her authority varies according to the structure of the company and to his/her experience and competencies. Finally, depending on the size and structure of a company, there can be more than one manager within one organizations: manager are responsible for all operational activities within their assigned department/branch. The administrator is generally part of the legal and administrative branches of a company. In other words, the administrator is responsible for determining the main policies and goals of the organization/business – which will later be implemented by the manager. The administrator takes care of logistics and has to make sure that the company’s policies are in line with international and national laws and regulations. In general, the administrator does not intervene in the concrete implementation of strategies and policies, but may liaise with the manager to verify progresses and to evaluate performances. 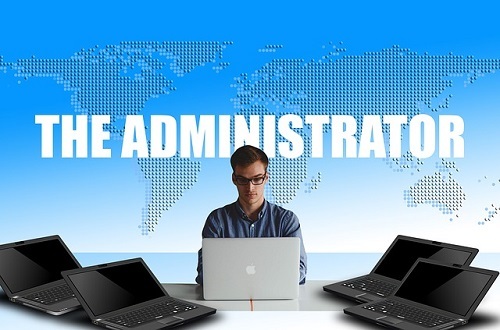 What is the Difference between Manager and Administrator? The manager selects and hires employees for his/her team, choosing the best candidates on the basis of their skills, personal attributes and competencies. The manager needs to make sure that new recruits are adequately trained and welcomed by their new team. Conversely, the administrator does not participate in the hiring process – in particular for entry-level jobs. The duties of managers and administrator can vary according to the structure and hierarchy of a given company. Furthermore, in small or family-run businesses, their roles often overlap. Yet, building on the differences outlined in the previous section, we can identify other key aspects that clearly differentiate the tasks and roles of managers and administrators within a company. Nature of work The manager needs to make sure that the policies of the organization are understood and respected by all employees. He/she can set short and long-term goals (in line with general goals of the company decided by the administrator and senior management) to motivate the employees. The administrator sets and decides the main policies of the company – ensuring that they comply with national and international regulations. He/she is also responsible of overseeing the performance of all branches of the organization. Team management The manager works in close contact with other employees and hires new recruits. He has the duty of training new hires and of nurturing and motivating employees. He/she also organizes tasks and monitors the work of his/her team. The administrator is not largely involved in team management. He/she does not take part in the hiring process, in particular of new recruits. The administrator sets the overall goals and policies of the company rather than ensuring the pragmatic implementation of strategies. Promotion of the company The manager promotes the company by ensuring high productivity and by making sure that all employees understand their role and complete their tasks in an efficient manner. The manager can increase productivity by providing training and advice and by understanding strengths and weaknesses of each employee. The administrator promotes the company by setting ambitious (yet achievable) goals and by ensuring that the organization complies with all national and international regulations. Furthermore, he/she needs to make sure that policies and goals are understood by managers and employees. Authority and status The manager has limited authority if compared to the administrator or to senior management – but he/she has more authority than regular employees. He/she faces competition within the organization. The administrator has more authority than the manager – in particular if he/she is also an investor in the company. In general, the administrator does not face competition within the organization. Manager and administrator are two key figures in any medium and large organization. In small businesses, their roles and tasks often overlap – and may be even taken upon one single individual. Yet, larger business need a sharper distinction among different roles to maximize efficiency and productivity. In general, the administrator is responsible for setting and developing main company’s policies and objectives – in compliance with national and international regulations – whereas the manager is responsible for the pragmatic implementation of such policies. Both figures aim at promoting the image of the organization and at enhancing productivity: the administrator has higher authority and his/her work is related to the legal and financial aspects of the company whereas the manager is responsible for hiring and training new employees, and for ensuring the smooth delivery of all operational activities. Giulia Squadrin. "Difference Between Manager and Administrator." DifferenceBetween.net. February 6, 2018 < http://www.differencebetween.net/business/difference-between-manager-and-administrator/ >. I am interested to read more please. Shame on you for spreading false information. You should also be ashamed of yourself for using the term assault rifle on your website. Fletcher, Patricia AK. "From Personnel Administration to Business-Driven Human Capital Management." The Professional Practice Series (2005): 1. Glynn, Caroline, Ingrid Steinberg, and Claire McCartney. "Work-life balance: The role of the manager." (2002). Kraut, Allen I., et al. 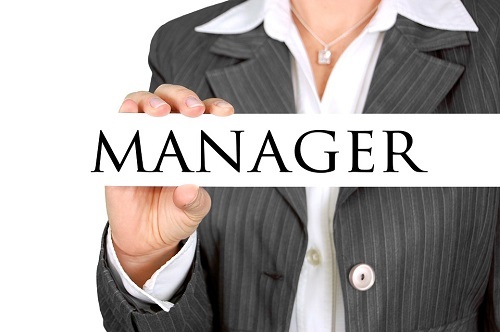 "The role of the manager: What's really important in different management jobs." The Academy of Management Executive 3.4 (1989): 286-293.